When Dell (they make computers) and EMC (they make giant enterprise-focused technology solutions) merged, it created a massive, potentially confusing family of companies. 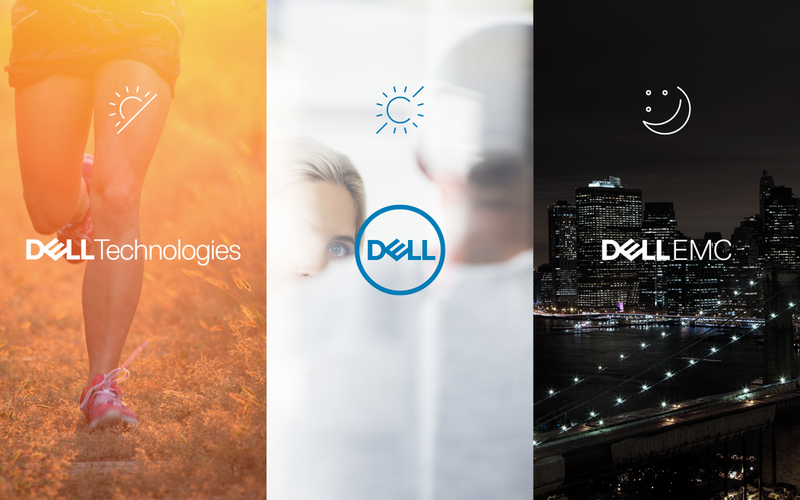 We created a visual system for the newly-formed Dell Technologies, as well as Dell and Dell EMC. Each brand needed to be distinct and appropriate for its audience, while simultaneously working as a cohesive whole. 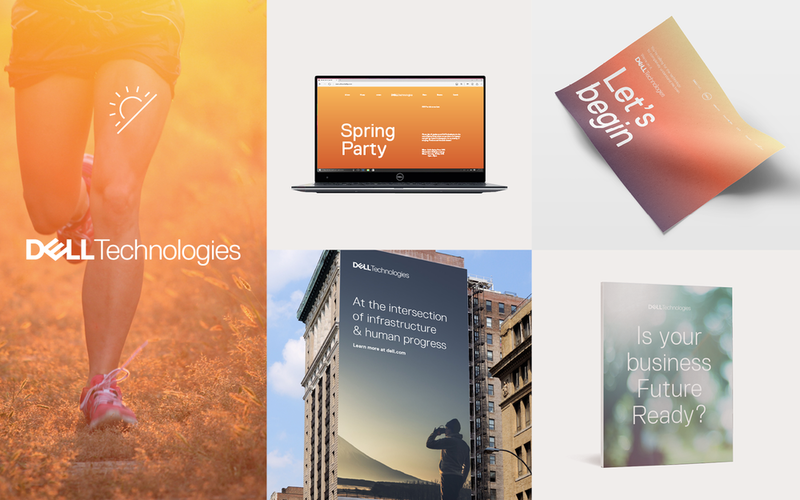 Transformation was at the core of the rebrand, so we built a visual system around the transformation of a new day, from dawn to day to night. The new visual identity allows each brand to stand on its own, while creating cohesion across the entire system. The visual identity system is inspired by the transformation of a new day, from dawn to day to night. A new beginning. Optimistic. Human. Essential as we build our digital future. Light. Fresh. Authentic. Trusted and innovative. Touching the Dell logo was scary. The logo, in particular the canted E, was iconic, but it was starting to show its age. The logo was redrawn from scratch for a digital-first environment, using a precise mathematic grid to ensure a balanced, sleeker, modern mark. If I've learned one thing as a designer, it's that people love logo grids. We made sure the logo could survive at small sizes. 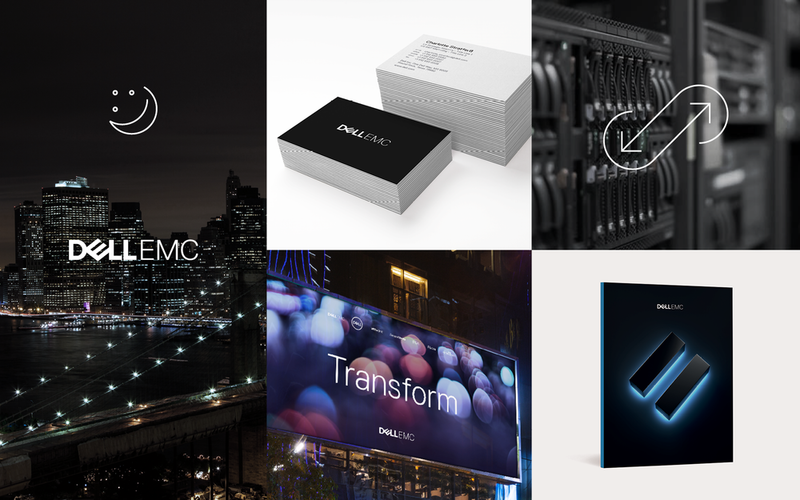 Inspired by the 45° angle details of Replica (the brand’s typeface), I created a unified set of icons that speak to the transformation promise of Dell Technologies. 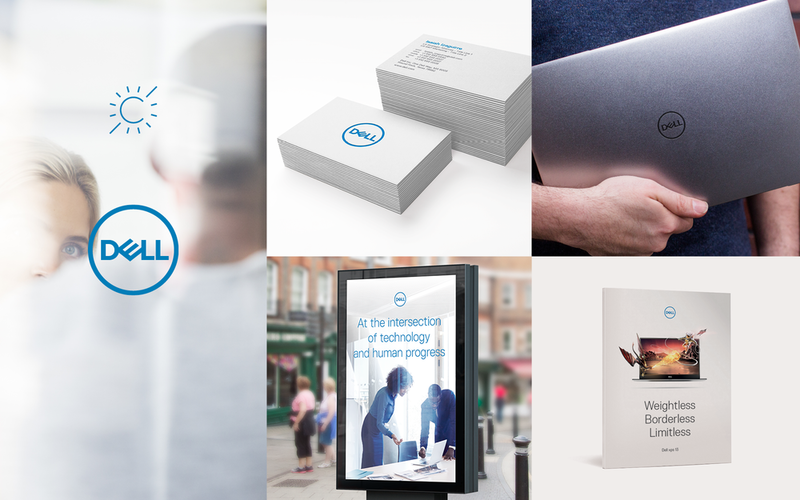 The thin linear icon style was also inspired by the thinner letterforms of the new Dell logo, creating an interconnected system. I created a family of icons representing capabilities, products, enterprise, and industries.